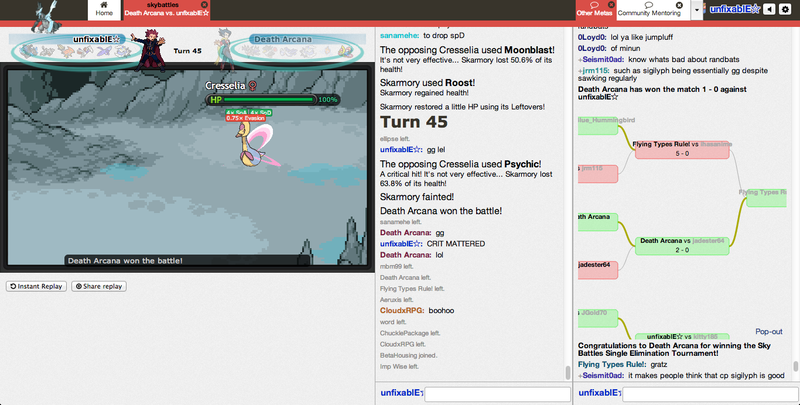 Every day we host a special tournament in the Other Metas room on Pokémon Showdown. All are welcome to join the tournament and there's no limit to how many you can participate in per week. With the addition of the weekend double, now there's 9 metagames to play! The signups are live, so there's no need to sign-up ahead of time. Just show up in the room on time and wait for the tournament to start. At the end of each month whoever has the most tour wins will receive a special room rank unique to Other Metas! The Star rank (☆) designates you as our room's top tournament battler and will group you with our Room Voices (+). You'll also get your name enshrined in the HALL OF FAME to remind others of your accomplishment. Signups last 7 minutes. The automatic disqualification timer is set to 3 minutes. There is a no scouting rule in the daily tournaments, so if you are still active in the tournament you are not allowed to spectate other matches. If you are on Pokémon Showdown you can PM our room bot (*TIBot) the command .daily for it to show you what is that day's metagame and how long until it begins. If you require assistance make sure to PM a staff member (% or @) and not the room bot. Winners will get to keep the Star rank until the end of the next month when it will be transferred to that month's winner. The Room Owners have the right to not award you the Star if your behavior was less than sporting during the month. 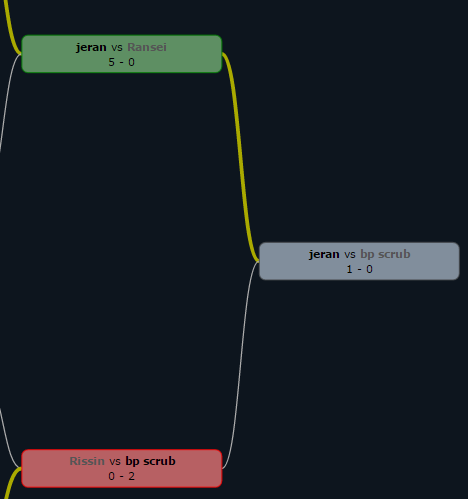 Only post in this thread if you have the replay of the finals for that day's tournament. We will record it and delete your post to keep the thread organized. 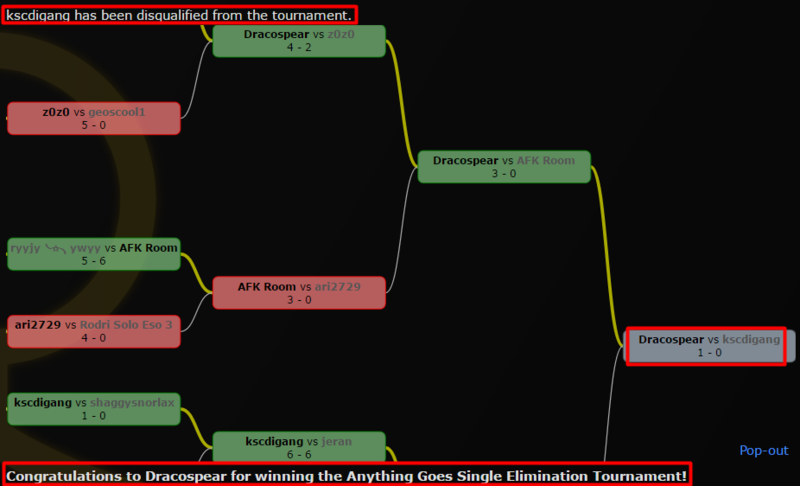 If you want to discuss a specific tournament match, you can do so in the Other Metas room or in the respective thread linked above. Still have questions? You may message imas, Ransei or myself on here. The winners' names are PS accounts unless tagged. The daily tours have been quite successful, and its time to expand them! Starting next month we're introducing weekend double! What that means is on Saturday and Sunday we will have not one but two tournaments! They will be back-to-back. This also means that we're adding two new OMs to the daily tours: Anything Goes and 2v2! The formats have been re-ordered as well so update your calendars and reminders! 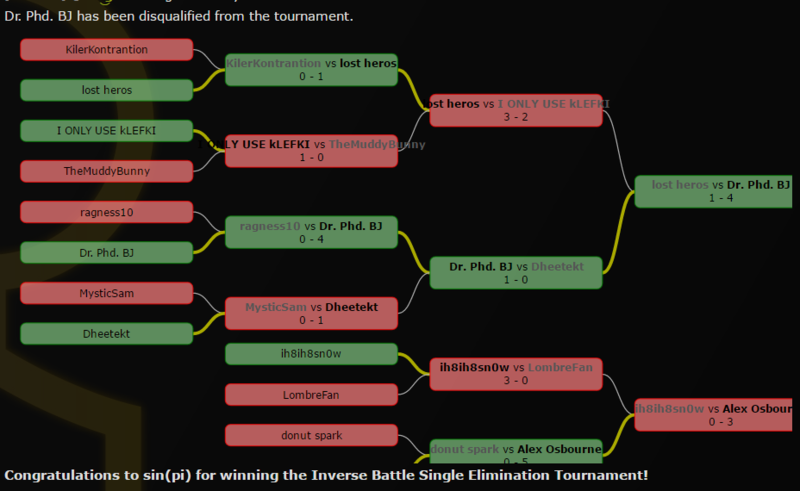 15) Inverse Battle - Winner: Grains of Salt | Runner up: @XhillyW. 5) Inverse Battle - Winner: sin(pi) | Runner up: ??? Starting as of next Friday, Mix and Mega will replace Inverse Battle on the Daily OM Tournaments! Should be obvious but Mix and Mega is one the most popular metagames and keeping it out of Daily Tours any longer would have been an injustice. We will be transitioning to SuMo this month and the lineup will have to change as a result. I think it's best to make the changes now instead of interfering with the daily tours in the middle of the month. We're also moving back to just five formats; no weekend double. Perhaps when OMs have established themselves into SuMo we can look to increasing the daily tours once again! Minor note, Balanced Hackmons has been moved from Wednesday to Tuesday to match the order of the PS! ladders. And 1v1 is now on Wednesdays. Check the first post for the full updated lineup!